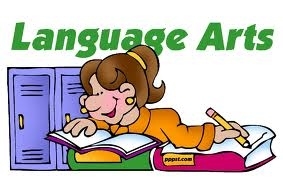 Welcome to Bronx Green Middle School’s English Language Arts page. At BGMS, our teachers and curriculum strive to ensure that each student is prepared to meet the demands of the Common Core Learning Standards, high school, college and beyond. In their ELA class, your child will develop his / her skills in reading, writing, listening and speaking. This year we will engage in a variety of units of study (literary genres) such as realistic fiction, informational text, historical fiction, argumentative and literary essays, and poetry. Feel free to visit our site for support and additional details about each of our units. The files below are available to support your child in their ELA instruction. In addition to our English Language Arts curriculum, our students follow the new Common Core Code X course of study. Common Core Code X is the first new, authentic ELA curriculum that challenges students to read, think, analyze, question, cite evidence, debate and write every day. Code X was built specifically to ensure students become deep readers and writers. Click on the image below for more information about Code X.